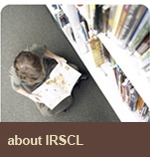 The IRSCL logo was designed in 2007 to replace the original logo which was used from the 1970s. Using blue, the traditional IRSCL colour, it suggests the dynamism and liveliness of IRSCL. 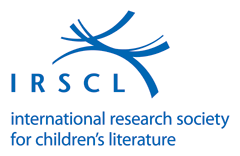 Its sweeping and tapering lines, which are connected by intersections and parallel directions, suggest the many cultures, approaches and experiences which inform the research of IRSCL members, and its identity as an international organisation embracing difference and plurality.